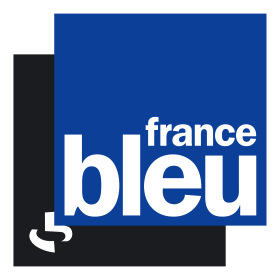 If, like France Bleu Radio, we take a closer look at the particles emission causes on a vehicle, we note that for the latest generation vehicles, in the city, 33% of emissions are due to engines, tyres and road abrasion, and 66% of emissions are due to brake pads. These particles are a real public health issue because they cause, inter alia, respiratory and cardiovascular risks. According to Santé Publique France (Public Health France), atmospheric pollutants cause 48,000 premature deaths every year. Knowing that the use of a Telma induction brake reduces these emissions by up to 85%, we let you judge of their usefulness. Telma described by "Le Parisien"
The episodes of pollution compel the hunting of fine particles. For a long time, diesel engines were blamed, but Airparif is aware that engines are not the only cause of air pollution. "The engines have evolved and pollute less, which is not the case with braking systems." In its issue, "Le Parisien" was interested in the Telma system and their environmental interest. The fine particles are worrying, and for good reason, they can generate asthma, allergies, respiratory or cardiovascular diseases and many more cancers. There are implemented measures decided by the government to limit this scourge, but brake pads are not always thought to be a significant emitting cause of these particles. VoTv investigated the Telma solution which reduces by 85% the fine particles emitted by braking: discover our solution in this report. 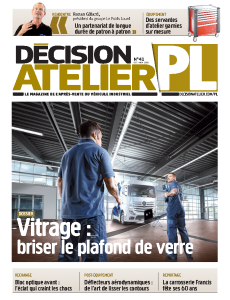 Telma, the safe bet of the electric retarder according to "Decision Atelier PL"
The journal "Decision Atelier PL" describes a "safe bet": the Telma induction brake. The journalist underlines the performance and the advantages of the Telma brakes in relation to the hydraulic retarders, and reminded the maintenance of Telma products: "a simple visual check of twenty minutes, once a year". Install Telma in your vehicle and you will increase its safety, comfort and serenity for driver and passengers while protecting the environment and saving money, miles after miles. 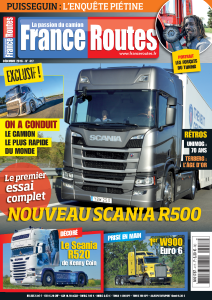 In its December 2016 issue, "France Routes" magazine published an article on the innovations proposed by the equipment manufacturers at the IAA 2016 Show. The Telma induction brakes did not go unnoticed during this edition 2016, in particular their contribution to the preservation of the environment. 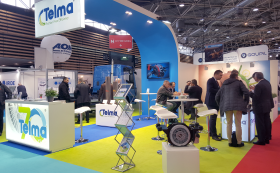 At the Pollutec 2016 Trade Fair, Telma intended to present the benefits of its braking solutions to the actors of the waste collection market, based on the results of an LCA (Life Cycle Analysis) realized by the independent company EVEA. Telma team thanks all partners, visitors and new contacts for the interest they have shown for our products and their many benefits. When we know that air pollution due to fine particles is responsible for 48,000 premature deaths every year in France, we can look at existing solutions to limit this scourge. "La Newsletter du Fret" was interested in the Telma solution and came to our meeting on Pollutec show. Gas is undoubtedly the star of Pollutec 2016 show. One of the major players in this market is the manufacturer Iveco, whose gas craze began in the mid-1990s and now offers the most complete range of the market. Telma has adapted to the evolution of the market and this new demand for gas vehicles. 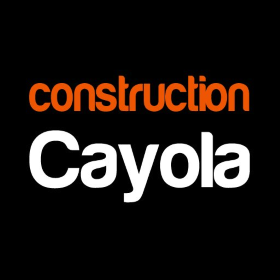 The issue of "Construction Cayola" mentions the Eurocargo gas that was displayed on the Telma booth, insisting that the "Telma device" is "particularly ecological and economic". The 2016 edition of Pollutec brought to light an evolution of trends: the electric vehicle is no longer the “in” thing because it is considered "20 to 30% more polluting than a diesel Euro 6". For some years, gas has seen an undeniable increase in interest in terms of reducing pollutant emissions from engines. A gas vehicle equipped with a Telma induction brake comes close to zero fine particles by reducing by 85% the emissions due to wear of brake pads and discs. Totally convinced by this association and wanting to share it with all the visitors of the 2016 Pollutec show, Telma, together with its partner Iveco, exhibited on its booth an Eurocargo truck chassis (Truck of the Year 2016) equipped with an induction brake Telma (photo taken on the Telma booth at Pollutec 2016). At the Czechbus 2016 Trade Fair, 14 vehicles exhibited by manufacturers partnering with Telma featured a Telma electromagnetic retarder. 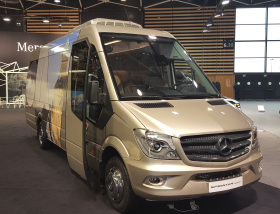 In its November 2016 edition, BusToCoach dedicates an article on the Sprinter City 65 exhibited at the IAA 2016, factory-equipped with an AF30-35 Telma induction brakes. The particularity of this Telma retarder: an optimized weight, reduced by 15% compared to its predecessor while offering the same performance. In its November 2016 issue, "BusToCoach" magazine published an article on the equipment and accessories that were presented at the IAA 2016 show. The new induction brake AF8 "The retarder of Extreme" was introduced. The AF8 is especially suited to extreme conditions of use. 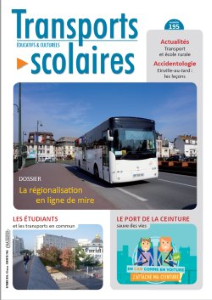 In its October issue, "Transports Scolaires" magazine is interested in all matters related to the children transportation quality and safety. The effectiveness of the Telma induction brakes in terms of safety is an undisputable fact. 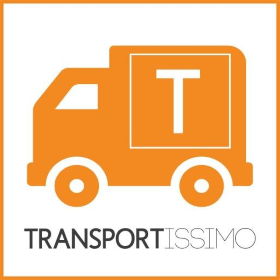 In its issue, "Transports Scolaires" focuses on an advantage that had remained neglected until now: the environmental impact associated with the use of Telma brakes. Reading this news, there is only one conclusion: choosing to equip your vehicle with a Telma retarder is a matter of common sense. Autocar Expo show which took place in Lyon in France from October 12 till 15, is a key event for the promotion of tourism and mobility by bus. 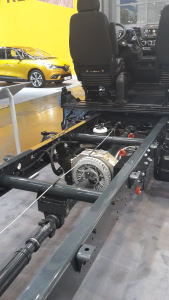 During the Autocar Expo show, Telma was present on more than 10 vehicles exhibited on the booth of its partner such as the manufacturer Iveco, Isuzu, Otokar or even Mercedes. Because safety is essential in the transportation of people and manufacturers have understood this priority, they offer the option to have the Telma induction brakes fitted in the factory. The integration of a Telma retarder is an additional guarantee of serenity and comfort for drivers and their passengers. 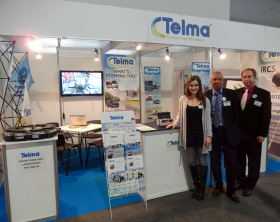 Telma team thanks all partners, visitors and new contacts for their interest they have shown for our products. During the 2016 IAA show in Hanover, Telma has once again confirmed its worldwide leadership in the global market of the induction brakes. At the show, it was possible to discover more than 18 vehicles fitted with Telma on Telma partners’ booths. 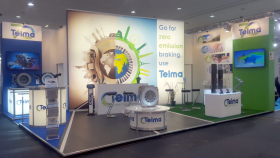 This event was an opportunity for Telma to communicate the beneficial contribution of the use of a Telma induction brake on environmental preservation. Telma in the magazine "le monde du Camping-Car"
At a time when the motor home market booming, “le Monde du Camping-Car” tackles the subject of heavyweight motor homes (5 to 7,2 tonnes GVWR) and he highlights the fact that the majority of them use the Iveco Daily chassis. 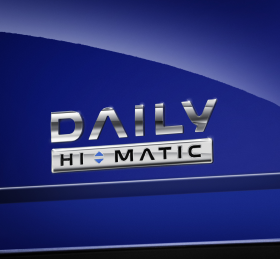 Users of motor homes are looking for vehicles becoming safer and better equipped.The journalist reminds that one of the strengths of the Iveco Daily chassis is the Telma induction brake, proposed by the manufacturer Iveco. The integration of a Telma retarder is an additional guarantee of security, comfort and serenity to drivers and passengers. Air pollution is a subject that affects all of us and mobilizes media interest. 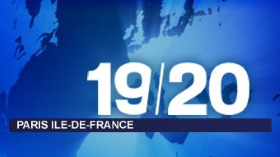 With such a high awareness for this topic, the French television channel France 3 found in Telma a particularly effective solution to fight against this scourge. Compared to an equivalent vehicle without Telma, a vehicle fitted with a Telma induction brake reduces by 85% the emission of fine particles related to the braking in the city, reducing the loss of life expectancy estimated at two years for a Parisian. Equipping vehicles with a Telma retarder is a concrete, economical and rapidly deployable solution for atmospheric problems in large urban areas in the world. During the 2016 Caravan Salon in Dusseldorf, the world’s leading international show for motor homes and caravans, Telma displayed the AF3 on the booth of its partner Fahrzeugbau Meier, coachbuilder for mobile homes on IVECO Chassis. This show was an opportunity for Telma to meet users, and to have good returns on the use of retarders: the integration of a Telma retarder is an additional guarantee of serenity and comfort to drivers and passengers. Real public health issue, air pollution from fine particles is a subject that concerns the populations and the authorities, through their extremely harmful health consequences. These fine particles suspended in the air, mainly from road traffic pollution. Frictionless, braking system Telma doesn’t generate fine particle unlike the brake pads and brake disc: the retarder prevents wear and therefore their harmful impact on the environment. Compared to an equivalent vehicle without Telma, Telma retarder reduces by 85% the emission of fine particles in the city. A concrete solution to the problems related to urban pollution. 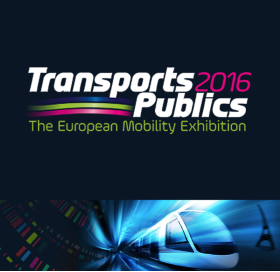 Recognized as the industry leader event, the Public Transport show gathered professionals of urban, long-distance and regional transport, from 14 to 16 June in Paris. Elected representatives and decision-makers, motivated by the increasingly demanding expectations of citizens in terms of transport, went there in search of innovative and "clean" solutions. The Telma retarder is a real solution which improves the air quality we breathe: by taking over 80% of braking operations, Telma reduces by 85% the emissions of fine particles, very harmful to health. Choosing to equip urban vehicles with Telma retarders, effectively contributes to the preservation of the environment. The Telma retarder is a real and proven solution to cope with the issue of air quality improvement. Iveco has once again expressed its confidence in Telma by offering as a factory option, Telma electric retarders on its new generation gearbox, the Hi-Matic. This eight speed automatic gearbox is a first in the commercial vehicles category. A built-in Telma retarder offers more safety, comfort and serenity for driver and passengers. Choose Telma also preserves the environment by eliminating significantly the emission of fine particles and savings, miles after miles. 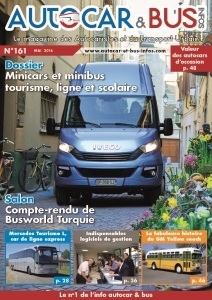 In its issue of May 2016, “Autocar&Bus Infos” magazine dedicates a report on developments in the mini bus and minibus, to best suit the needs of carriers. Even if several vehicles are described in details, the main suppliers of manufacturers-bodybuilders are Iveco bus with its Daily and Mercedes-Benz with its Sprinter. Iveco and Mercedes have chosen to offer the Telma factory option in order to benefit their customers the many advantages of retarders. The Telma retarder significantly improves the vehicle security level for the serenity and comfort of the driver and passengers. Also, the use of a Telma retarder reduces costs such as those related to change pads and brake discs, and therefore is a real source of savings for each kilometer traveled. 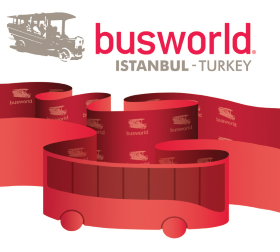 At Busworld 2016 in Istanbul, Telma once again affirmed its collaboration not only with the leading manufacturers present on the Turkish market but also with numerous national coachbuilders. Another confirmation of Telma's undisputed position of number 1 in the world for electromagnetic retarders. Over 6 Telma applications are installed on the new Euro6 lines of minibuses, Midi buses and coaches manufactured by European and Turkish manufacturers loyal to the brand. 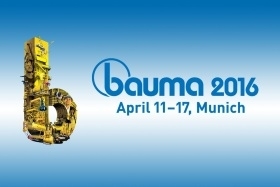 During the Bauma show which took place in Munich in Germany from 11 till 17 April 2016, Telma was present on the booth of its partners, such as manufacturers LIEBHERR, MANITOWOC or even TADANO FAUN, whose their truck cranes were fitted with Telma retarders. More than 580 000 visitors from 200 countries discovered these large size vehicles, for which safety and reliability are key points. A built-in Telma retarder is an additional guarantee of peace of mind for the user because it offers exceptional benefits in terms of safety and robustness. 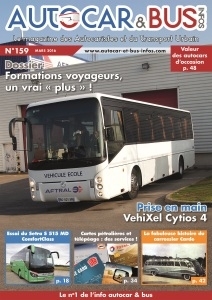 In its issue of March 2016, "Autocar&Bus Infos" magazine dedicates a report on the minibus VehiXel Cytios 4 test. The minibus tested, considered to be ideal for cities, was tested with a Telma retarder. Carrying up to 39 people, security is vital. Install Telma in an urban vehicle will increase the safety of the driver and passengers, by taking over 80% of braking operations, ensuring an exceptional driving comfort. Furthermore, using Telma retarder in urban journeys offers two others advantages: by significantly reducing the emission of fine particles in the atmosphere, Telma retarder preserves the environment and allows saving money, miles after miles. First of all, Telma wishes to thank the many customers who participated in the survey for their kind feedback and for their answers that are a priceless source of information. True to its "Good is not good enough" motto, Telma again called upon its customers to update its continuous improvement strategy by specifically identifying expectations, areas of satisfaction, and points of dissatisfaction of its customers. In summary, 40% of participating customers think that Telma could improve communication regarding the availability of new products and solutions. To ensure that you receive notification of all future Telma releases, simply register to receive Telma's newsletter; in addition, you can follow Telma on social networks. 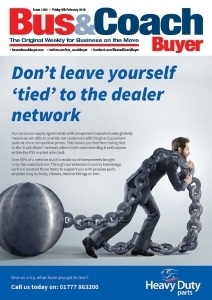 85% of participating clients find the Telma brand image excellent. 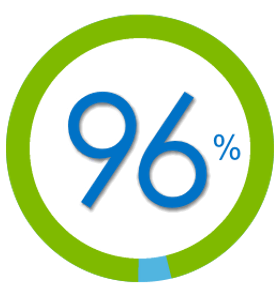 92% acknowledge the exceptional quality of products and services offered by Telma. In conclusion, 96% of participating customers recommend Telma! Telma takes pride in the fact that its continuous improvement efforts are concretely translated into the results of this 2016 customers satisfaction survey. These results are another reason for Telma to continue to improve even more. In its February issue, the magazine Bus&Coach Buyer devotes an article to the new Turas 700 minicoach model designed by the bodybuilder Noone. This minicoach is built on a Iveco New Daily chassis, which offers the advantage of being equipped at the factory of the Plug & Play Solution proposed by Telma : the LVRS600 retarder. After a test with this vehicle, the reporter recalled the importance of equipping vehicles with a Telma retarder, because it can significantly limit the use of the service brakes, preventing the emission of fine particles due to braking, into the environment. A built-in Telma retarder enables the end-user to take advantage of its many benefits: the itineraries are made safely, giving an undeniable user comfort for a journey with serenity. In its January / February 2016 issue, the Italian magazine BusToCoach devotes an article on the components and accessories that have been presented at the Busworld Show. The iRCS box proposed by Telma has not gone unnoticed : it is described by journalist like an innovative design. This compact module combines all the necessary elements to the perfect integration of Telma retarder on any type of vehicle: installation is easy with a single module. Moreover, choosing the Plug & Play solution recommended by Telma, the iRCS is already mounted on the retarder. Install a Telma retarder has never been easier!